Somebody Has Some Explaining To Do! 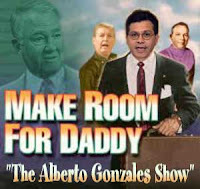 This episode: Alberto ponders the fates of frormer Attorney Generals who resigned in disgrace. Also starring Richard Kleindienst, Ed Meese, and John Ashcroft. In color.